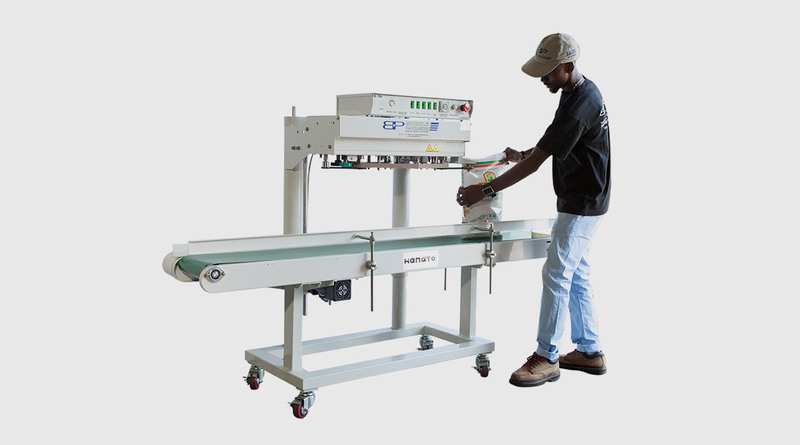 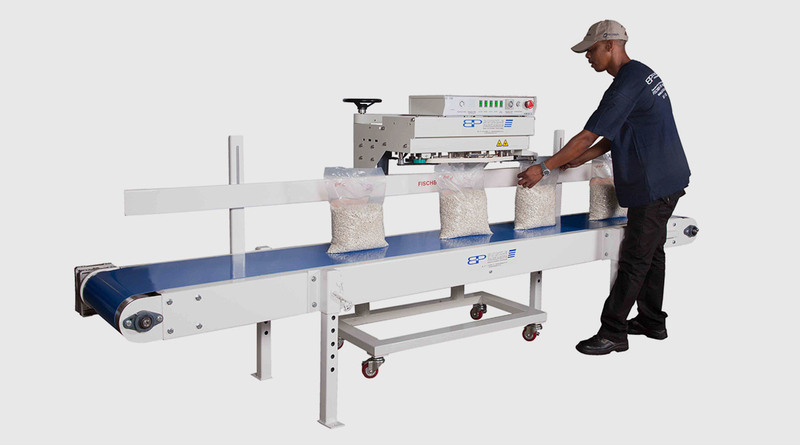 Complete with 2.0m long flat bed conveyor – excluding printer. 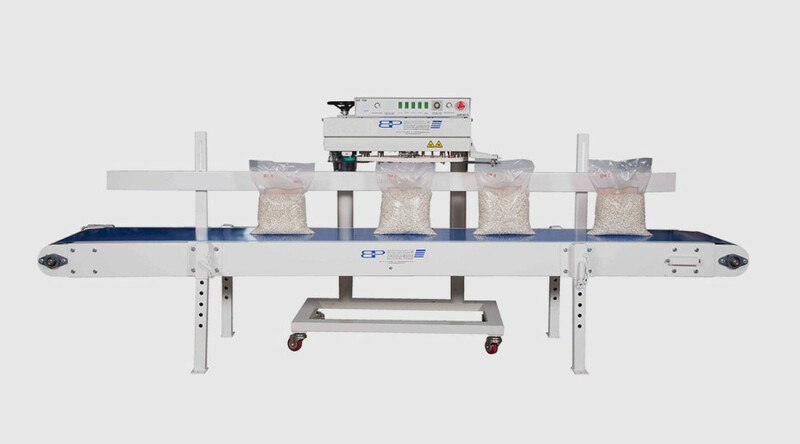 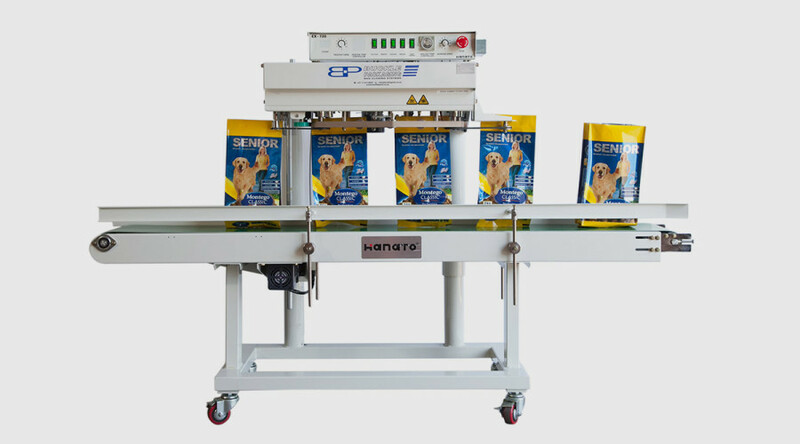 A suitable continuous heat sealer for closing large volumes of bags effectively. 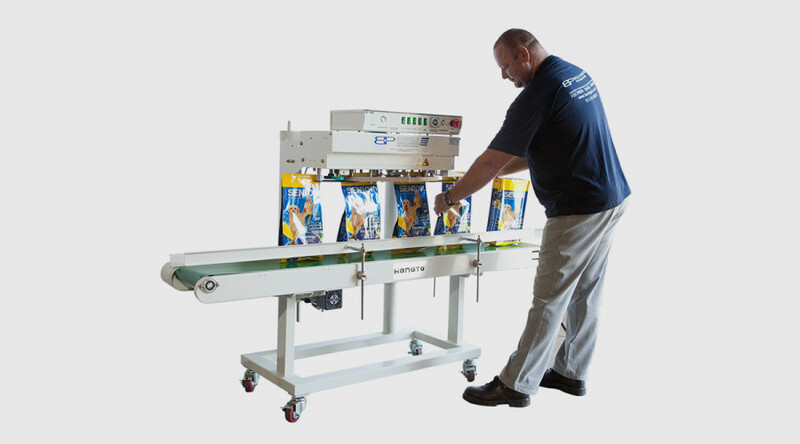 This unit is the same as the Model EX-720-HP HANATO above but excludes the Printer and counter. A proven machine for pre packing small to medium bags up to approximately 10kg to 12,5 kg maximum.